The roar of the crowd in a bursting Madison Square Garden after a game winning three point shot, or Lambeau Field erupting when a player jumps into the stands right after scoring a big touchdown. These are the dreams that every high school or college athlete in the United States has in their head when imagining the possibility of getting drafted as a pro. With the NFL Draft right around the corner and the NBA version of the distribution of college talent onto the pro teams following soon thereafter, the modus operandi of both leagues is coming under review once again. The big question remains, should players be allowed to enter the draft right after high school? So far, both leagues force their players to spend some time honing their craft after high school, before allowing them to enter the respective organisations. The NFL forces its players to “be out of high school for at least three years” before being eligible for the draft. In the case of the NBA the infamous “one-and-done” rule, which forces players to either be 19 years or older or play at least one year in college, was put in place to prevent players from jumping directly from high school to the pros. The reason these specific rules have been put in place is simple. Too many young players entered the leagues and were either physically or mentally not ready for the business they were signing up for, therefore ending up as so called “draft busts” and without a future in the sport. To prevent that from happening, the players are supposed to play in college or abroad, hone their craft and hopefully educate themselves along the way in order to not struggle and fail at the next level like some of them did before. In reality, some players will not make the league, and therefore miss out on a potentially life changing payday because of these rules. American Football is one of the toughest team sports played on the collegiate level and some of its brightest young stars have been taken out by one ill-fated tackle or one misplaced step on the field. And even a less physical sport like basketball has seen its fair share of promising careers cut short by a torn ligament or a chronic injury while playing on the college level. 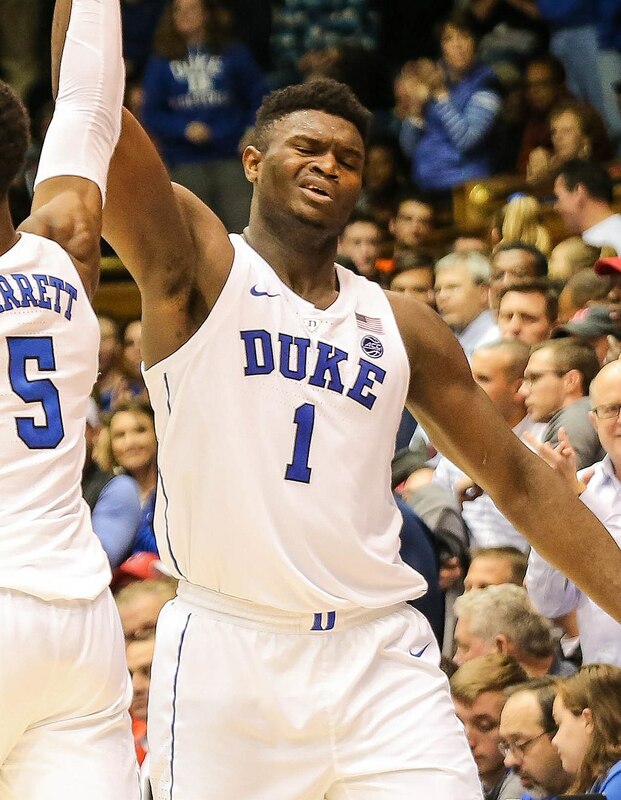 The latest injury scare around highly touted talent Zion Williamson at Duke University now reignited the discussion about eligibility rules. The NBA introduced the “one-and-done” rule in 2005 after promising players like Kwame Brown and Sebastian Telfair struggled at the next level. It was introduced despite the continuous success of former high schoolers turned pro like LeBron James, Kobe Bryant and Kevin Garnett. Now another revision of the rule is set for this year, with a potential change, allowing high school seniors to enter the draft once again, set for 2020 at the earliest. The NFL has not announced any revision of its rule considering young talent coming into the league. To actually analyse the merit of these rules and potential changes to them, both leagues need to be viewed separately. Even with some of the obvious dangers of college football, the thought of a potentially 17 year old quarterback facing the likes of JJ Watt and Aaron Donald on a football field is both scary and laughable at the same time. While the need for the full three-year time span after high school can be debated, the general need for a time of physical and mental growth is obvious. In basketball, it is a different story. While physically dominant and extremely athletic players roam both the NBA and college courts, some of the positions are actually dominated by exceptionally skilful and supremely intelligent athletes. These attributes are not exclusively tied to a certain age or experience level. It is therefore for a good reason that the NBA reviews its own rule set in regards to draft eligibility. Some players like the aforementioned Zion Williamson could definitely have made a successful jump to the NBA right out of high school. And while it would mean that the collegiate level would lose some of its star power, it would open up the college ranks to the players that actually want to develop their physical and mental skill set before making the transition to the pros. With the lower injury risk in comparison to college football, this could actually deepen the NBA’s talent pool in the long run. At the same time, it would give the supremely gifted high school talent the immediate chance to compete with the best in the world, and not take any risks in regards to their pro career while on the college detour.